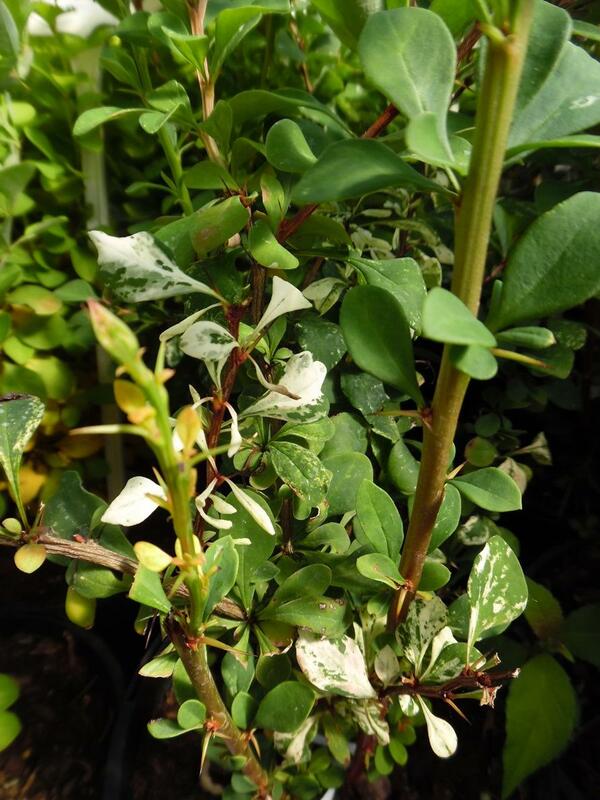 Berberis thungbergii Pow-wow is a deciduous dwarf column shaped shrub with bright red shoots in spring opening with bright lime & cream coloured leaves. Then turning to yellow green & cream in summer then to shades of orange in autumn before falling. Suitable for planting in full sun or part shade conditions. Eventual height up to 1 metre with a spread of up to 0.9 metres.